DZBB grabbed the lead in Mega Manila in June 2014 and has since sustained leadership in the area. Super Radyo DZBB, GMA Network’s flagship radio station, kept its winning streak in Mega Manila as it continued to lead rival stations in ratings, according to data from Nielsen Media Research. 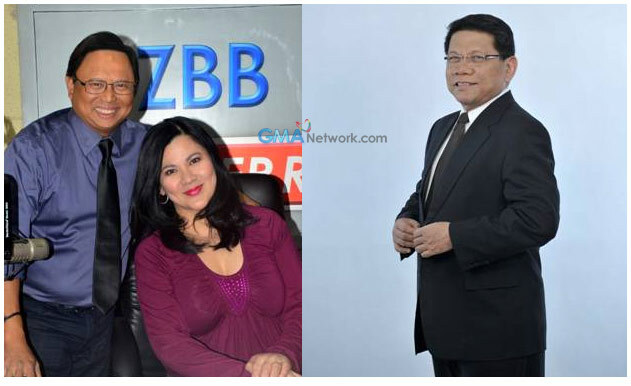 In July, DZBB recorded a total week (Monday to Sunday) audience share of 34.3 percent, outscoring DZMM’s 24.7 percent and DWWW’s 20 percent by 9.6 and 14.3 percentage points, respectively. DZBB also won during weekdays (Monday to Friday), where radio listenership levels are at their highest, with a 34.8 percent audience share or 10.2 points higher than DZMM’s 24.6 percent and 16.7 points away from DWWW’s 18.1 percent. DZBB also maintained its strong showing in August as demonstrated by its total week audience share of 32.3 percent, ahead of DZMM’s 26.5 percent by 5.8 points, and of DWWW’s 14.6 percent by 17.7 points. DZBB was also the AM radio of choice among listeners during weekdays in August with a 32.3 percent audience share, surpassing DZMM’s 26.8 percent by 5.5 points and DWWW’s 13.1 percent by 19.2 points. DZBB is broadcast over AM frequency 594 and is also audio-streamed online via www.gmanetwork.com/radio/DZBB. A simulcast of Super Radyo DZBB 594 khz is available to subscribers of GMA Pinoy TV, GMA Life TV and GMA News TV International in US, Canada, Middle East, Japan, Guam and Papua New Guinea, through various carriers.